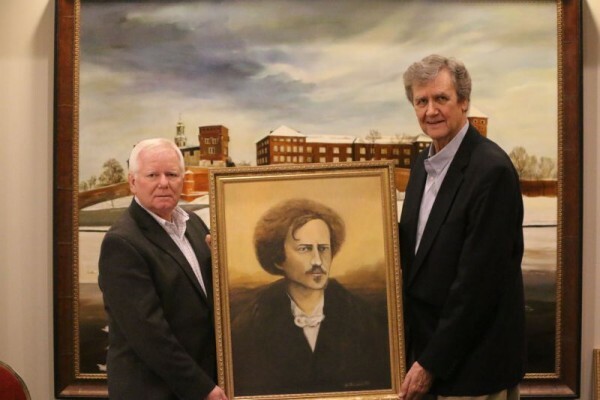 The portraits of a number of famous Poles of the 19th and 20th century were returned to the walls of the Wawel Restaurant in the American Polish Cultural Center (APCC) in Troy. Most of these individuals made their reputation in the arts during periods when Poland often did not exist as a free and independent nation. It is important to appreciate that during periods of oppression it is the artists, composers, novelists, poets and scientists who contribute significantly to a sense of national identity and pride which is an inspiration to so many. Polish history of the late 18th, 19th, and 20th centuries has many individuals who played major roles in the preservation and rebirth of the Polish nation. I am sure that many of my readers will say “why was not ‘so and so’s portrait” hanging on the walls of the Wawel restaurant? I can only say that these were the choices of the early founders of the APCC- although I must admit that there are a few artists, poets, politicians and scientists that I would have included like the poet Kamil Norwid and painters such as Jan Matejko and others. I am sure that you have your favorites who might not be among the portraits but many still are there. It is nice to have an abundance of choices who represent our Polish culture and values so well. 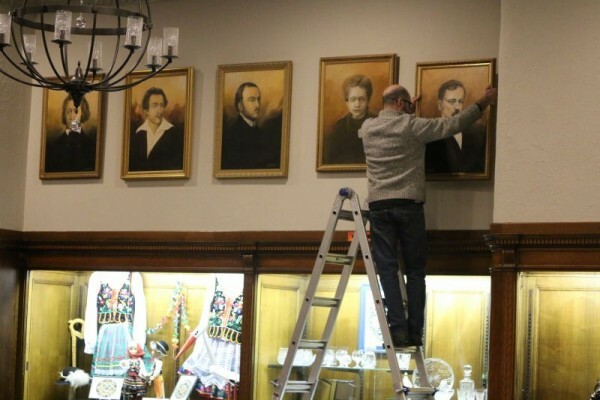 The portraits were removed during a general refurbishing of the Wawel Restaurant which is the jewel of the APCC. The portraits themselves were also cleaned and refurbished before being rehung on the walls. The American Polish Cultural Center was started primarily by individuals who were born in Poland or who were born in America and had deep Polish roots. The common language of the founders of the APCC and Detroit Polonia in general at that time was Polish. Todays that is changing but Polish is still important. The American Polish Cultural Center recognizes the importance of preserving and growing not only Polish cultural, historical roots and contemporary life but also our Polish-American cultural and historical roots and contemporary life. For the most part “Polish culture, history and todays contemporary life” is very different from “Polish-American culture, history and contemporary life”. The APCC recognizes this distinction and attempts to view each experience as important and generally separate although there are some points at which there is great common ground. For example, during the events of the great Polish migrations to America in the 19th and early 20th century, and then after World War II and after the imposition of Martial Law in Poland in 1981. Another example is the joint effort to defeat Nazism and Communism. Of course one cannot forget the great contribution of General Thaddeus Kosciuszko and General Kazimierz Pulaski in America’s War of Independence against England and also for their efforts to wrest Poland from the hands of Russians, Prussians (Germans) and the Austrians during the 18th and early 19th century. Perhaps the most significant individual to contemporary Poles and Polish-Americans alike is Pope Saint John Paul II who was not only a great pope but also a great Polish patriot who played a key role along with American presidents such as Ronald Reagan and Jimmy Carter in bringing down the godless “Evil Empire,” the Soviet Union. With this in mind I would like to list the names of the individual portraits which were rehung. The APCC is in the process of looking for a very nice portrait of John Paul II which can replace the photo which was taken down. This article only provides the briefest of information, although we will provide more biographical information in a future article. The paintings are hung from left to right as you enter the Wawel Restaurant. While each of the individuals with the exception of Lech Walesa were connected with the arts, they all performed to varying degrees patriotic service to Polish history, cultures and values. 18. Witold Lutosławski (1913-1994) Composer and conductor. One of major European composers of the 20th century. 19. Krzysztof Penderecki (1933- ) Composer and conductor. Viewed as being Poland’s greatest living conductor and composer. Please take the opportunity to visit the Wawel Restaurant at the APCC to enjoy the Polish cuisine and to admire the portraits of so many Polish artists, composers, scientists, and politicians. The restaurant has a wonderful European feel.